Now you have the chance to add only 1USD to get NOA brand SMDuino board! 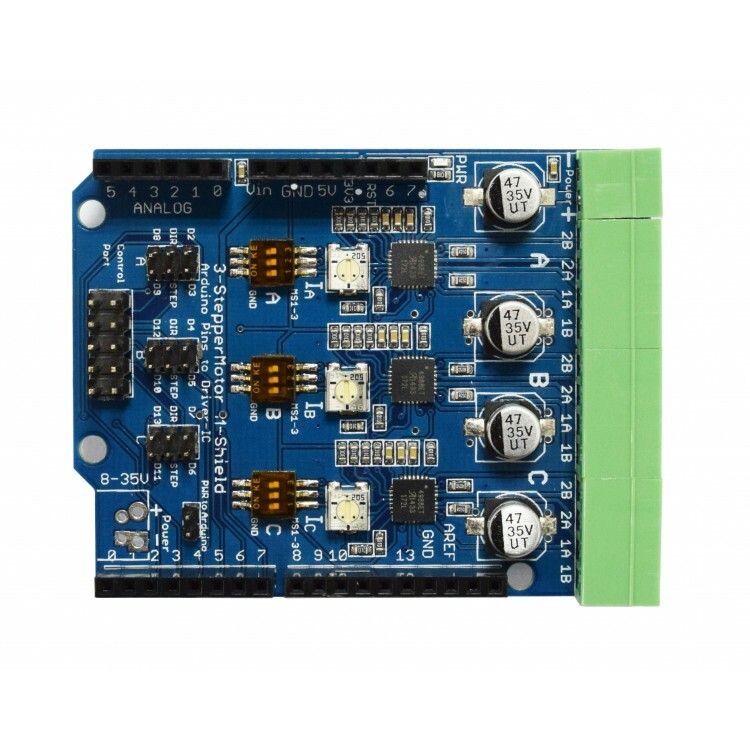 This stepper Motor driver Arduino shield had three built-in A4988 stepper motor driver IC, which allows you to drive three different stepper motors independently. We use high-quality SPF 3.5mm pitch terminal for stepper motor connection, the male header side has screw socket, which can provide reliable connection for the whole project. The A4988 is a complete micro stepping motor driver with built-in translator for easy operation. It is designed to operate bipolar stepper motors in full-, half-, quarter-, eighth-, and sixteenth-step modes, with an output drive capacity of up to 35 V and ±2 A. The A4988 includes a fixed off-time current regulator which has the ability to operate in Slow or Mixed decay modes. 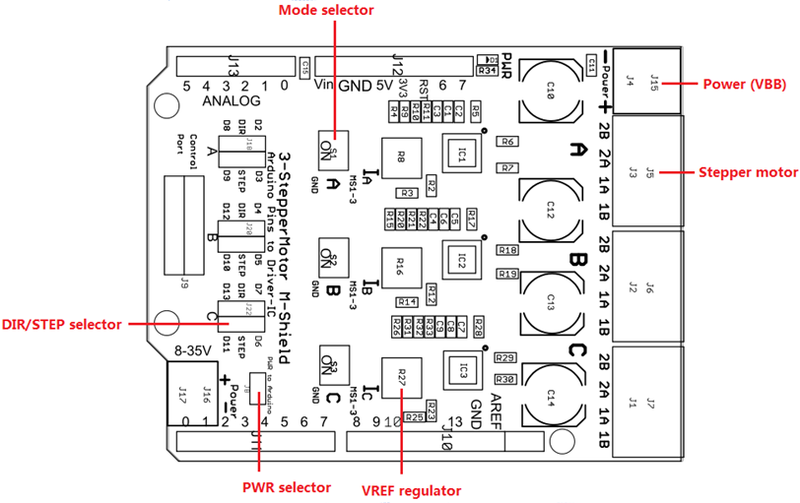 Each driver circuit has a potentiometer to control the maximum output current, a DIP switch to switch the step resolution, easy to control step rate. 2. Run stepper dirver demo. 3. In full step resolution, the stepper will turn 8 positive rounds and 40 negative rounds. 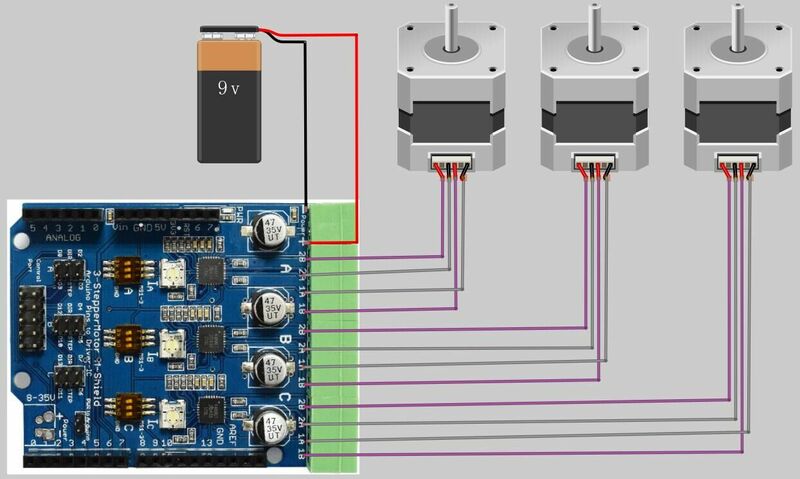 Warning:Connecting or disconnecting a stepper motor while the driver is powered can destroy the driver.